Combining an IRP solution with a SIEM makes security operations more mature in order to triage, reduce the time to respond, improve SOC efficiencies, and gain overall a significantly improved accuracy. Organisations today need to be agile, and dynamic in responding to the most advanced cyber threats, and although automation has it's place in improving SOC efficiencies, human intelligence is still one of the most important aspects in effective incident response. In this session learn more about the journey to Intelligent orchestration and how leveraging it in an uncertain world can empower your organisation. Intelligent Orchestration in Incident Response. The Resilient incident response platform (IRP) empowers cyber security teams to orchestrate their incident response processes, and respond to and resolve incidents faster, more effectively, and more intelligently. The Resilient IRP is the leading platform for orchestrating and automating incident response processes. • Achieve greater intelligence and efficiency by integrating your existing security technologies, including SIEMs, EDR, threat intelligence, and more. • Adapt to real-time incident conditions with Resilient Dynamic Playbooks –ensuring a fast and complete response to all incident types. Why should organizations integrate their SIEM with an Incident Response Platform? To effectively operate in today's changing threat landscape, organizations must draw upon the widest degree of data and intelligence, as well as relevant operational context in order to identify and respond to attacks. This talk is intended to highlight how automation can be leveraged as part of a wider incident response program to resolve cyber incidents and proactively improve overall security posture. In the current cyber threat landscape, organisations are looking at ways to respond as effectively as possible. This session will look at the role that can be played by OODA loops, a military concept developed to improve fighter pilots' abilities to respond in combat, it stands for Observe, Orient, Decide & Act. Companies can build these concepts into their Incident Response (IR) process to aid clarity of thinking and improve their ability to respond quickly and effectively to cyber attacks. Incident response orchestration and automation are game-changing developments in cyber security – putting people in control and supporting them with the processes and tools they need to fuel dynamic and accelerated response. An orchestration strategy allows for security teams to process incidents faster and more accurately. And by automating repetitive and menial tasks and delivering the right information to the right analyst at the right time, orchestration can significantly drive down Mean-Time-To-Response. Organisations in the Middle East are dealing with sophisticated cyberattacks every day. As the volume of these attacks continues to grow, and the adversaries’ attacks become more complex, companies need to be able to adapt to defend themselves. Cyber Resilience – an organisation’s ability to maintain normal operations while under attack, is a critical factor. •Real-world examples of organisations improving Cyber Resilience by focusing on incident response preparation. To effectively respond to today’s complex cyberattacks, security teams need to coordinate their people and technology throughout the entire incident response (IR) process. When IR orchestration is supported by automation, organizations can accelerate their response and make their IR team more intelligent. In this video, IBM Resilient CTO Bruce Schneier compares and contrasts orchestration and automation, and outlines how organizations can orchestrate response with an incident response platform. A ransomware attack has impacted businesses across the globe for the second time in as many months. This time, the attack known as Petya spread quickly over the past few days. This video explores the Petya attack and how to be prepared for similar attacks in the future. It also highlights how the Resilient Incident Response Platform helps organizations respond quickly to ransomware attacks. 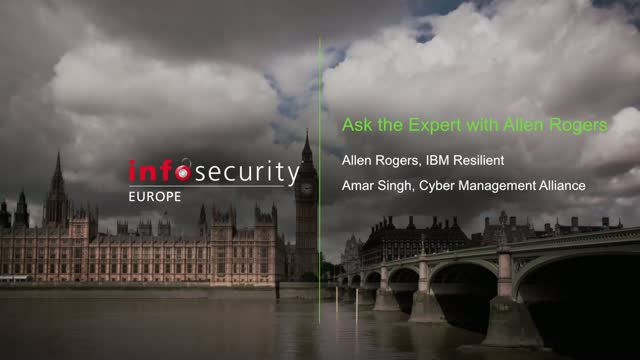 Incident response is in IBM Resilient’s DNA. The Resilient Incident Response Platform pioneered the IR software market. Today, with the best minds in cyber security, including Bruce Schneier, IBM Resilient CTO and Special Advisor at IBM Security, IBM Resilient brings more than 100 years of combined security experience to the platform. A platform that’s continuously refined with input from our customers.